The MasterClass – How to win Data Science Challenges? Have you ever participated in data science competition and wondered what does it take to become a master? Have you struggled to improve your model beyond a particular score? Or you wonder what goes in the minds of top data scientist – this workshop is what you are looking for. This is a highly interactive experience with data science masters & top data scientists. The goal of this workshop is to provide a forum for exchanging ideas and new approaches to become masters of data science challenges. Through this workshop, the top data scientists from India will share how they approach data science competitions. Make sure you don’t miss this advanced workshop on winning data science competitions & hackathons! Get your tickets today to access this full day session. 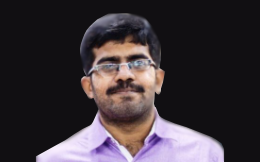 Sudalai Rajkumar (aka SRK) is the Lead Data Scientist at Freshdesk, responsible for developing scalable machine learning / data science systems for the organization. He takes part in various data science competitions to enhance his knowledge and has won several of them. He is one of the top 30 data scientists in the world in Kaggle. He was ranked #1 on Analytics Vidhya for a long duration and is one of the top solver in CrowdAnalytix platform too. 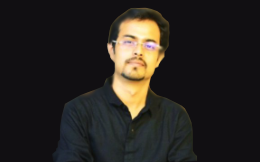 Bishwarup is a data scientist in profession with 7 years of cross-industry experience. He is working with VMware at present in the role of Senior Business Analyst. Bishwarup is very passionate about machine learning and aspires to build products in future to influence/facilitate complicated business decisions. He is the highest rated Kaggler from India (rank 23, previously 9) at this moment.